MDC Alliance Chiwundura MP Livingstone Chiminya will spend another week in remand prison as police intensify a manhunt for two witnesses who allegedly fled after being intimidated by unknown people before they could testify in his case. Chiminya who is also the MDC-Alliance Midlands provincial youth chairperson, is facing one count of inciting violence and appeared before Regional Magistrate Mrs Phathekile Msipa. Through his lawyer Mr Brian Dube, Chiminya pleaded not guilty to the charge. Chiminya was remanded in custody to January 29 after the prosecutor Mr Talent Tadenyika made an application for postponement of the matter to allow police to locate the two witnesses. "The State is given a week to look for the witnesses so that it is allowed to present its case fully. At the same time having the witnesses helps the accused so that he defends himself. We need to balance both sides and the accused is remanded in custody to January 29," she said. Superintendent Ntombizodwa Mashamba had earlier told the court that they were failing to locate the witnesses. "On Thursday last week I sent a team to look for the witnesses after they had recorded statements. Over the weekend a team also went and failed the locate them. It appears they just left because of the current situation and their whereabouts are unknown. I believe when the situation returns to normal they might come back. I believe they might have been intimidated," she said. Mr Dube was opposed to having Chiminya remanded in custody saying he must be released without any conditions. "The subject matter has nothing to do with Chiminya but the State. It is wrong and abusive for State to act in this manner. There is no legal document to the fact that the matter can be postponed to allow police to hunt for the said witnesses. If it was a serious case, the witnesses should have been produced in court," he said. Meanwhile, Amos Chibaya, the MDC-Alliance organising secretary who is also MP for Mkoba, appeared before Provincial Magistrate Ms Charity Maphosa for continuation of trial. Through his lawyer Mr Reginald Chidawanyika, Chibaya pleaded not guilty to a charge of incitement to commit a crime. Chibaya and Chiminya, the court heard, allegedly held meetings at their respective houses in Mkoba 13 and 14, Gweru on January 13 and incited MDC-Alliance youths to go onto the streets of Gweru to prevent the general public from going to work. It is alleged that after the meetings, gangs blocked Hamutyinei, Bristol roads in Mkoba which lead to the city centre, Matobo Road in Mtapa leading to town, using logs, stones and burning tyres, disrupting free movement of vehicular transport and the general public. The 16 other people, the court heard, allegedly participated in allegedly disrupting free movement of vehicular transport and the general public. Furthermore, the gang allegedly went to Choppies supermarket in Mkoba 6 and looted groceries worth $10 000, Flame Lilly Bar Mkoba 1 where they looted merchandise worth $1 363 and Samanyanga shop at Mkoba 10 and looted various groceries valued at $2 500. They allegedly looted in several other shops resulting in shops losing over $41 000 worth of goods. 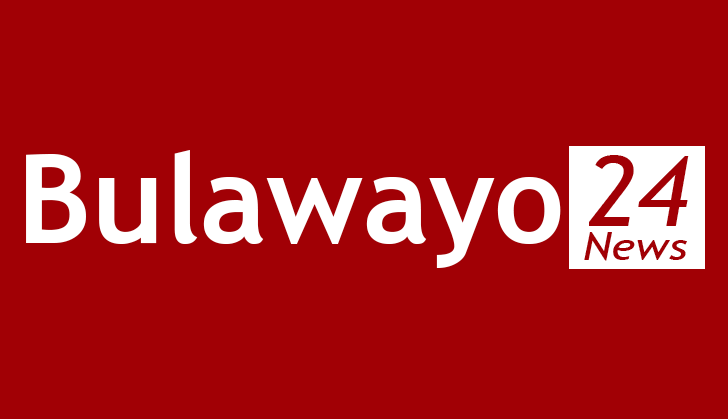 In Bulawayo, 21 of the 27 people who were part of a mob that allegedly looted shops in Bulawayo's western suburbs were yesterday denied bail pending trial. Their separate trial dates have been set for today and Thursday. Tafara Sithole (19), Austin Chida (33), Mike Masvinu (38), Mannerd Kufakunesu (32), Shepherd Muhanyi (20), Brutess Tsoka (53), Walter Nkomo (26), Thulani Ndlovu (29), Perence Maphosa (29) Malvin Madaka (28), Siphelile Nkomo (38), Trymore Ndlovu (24), Enviolator Moyo (34), Clinton Nyathi (20), Phathisani Moyo (42), Elitha Sibanda (22), Constance Ncube (28) Moreen Moyo (32) Wilson Nyathi (18), Sihliselo Ncube (40) Siphathisiwe Nyandeni (46), Thandolwenkosi Moyo (23) and five minors all from Ngozi Mine appeared separately before Bulawayo magistrates' Ms Sithembiso Ncube and Mr Tinashe Tashaya charged with public violence. The five minors were released on bail together with Tsoka who is nursing a two year-old baby. The magistrates ruled that the accused persons who were denied bail were a threat to public safety after having allegedly participated in a deadly civil unrest. The State had opposed bail, arguing that the accused persons were not proper candidates for bail due to the gravity of the alleged offences. The accused persons through their lawyers from the Zimbabwe Lawyers for Human Rights had said that it was their constitutional right to be granted bail, arguing that they were innocent until proven guilty. The accused persons who are alleged to be part of a mob of about 300 people allegedly went on rampage destroying private property, looting and burning shops in several western suburbs in Bulawayo. Prosecutors said between January 14 and January 16, the accused persons connived with others who are still at large and proceeded to shops at Entumbane Shopping Mall, Donnington West, Pumula East and other suburbs where they looted the premises. They also connived and armed themselves with stones and iron bars before they allegedly proceeded to Richmond Spar where they intended to loot the shop. They were carrying empty bags. "Local residents teamed up with security guards and fought the accused persons before they alerted police who swiftly reacted and arrested them," said prosecutors. They were intercepted by anti-riot police and fled in different directions. Police gave chase and managed to apprehend the accused persons. The three-day nationwide stay away was called by the Zimbabwe Congress of Trade Unions (ZCTU) and other civil society organisations aligned to MDC Alliance.